Toronto starter Bud Baldwin pitched effectively against the Kansas City Kings at Canadian National Field . The right-hander led his team to a 5-3 win. Toronto is now 50-23, 3½ games up in the National League Eastern Division. 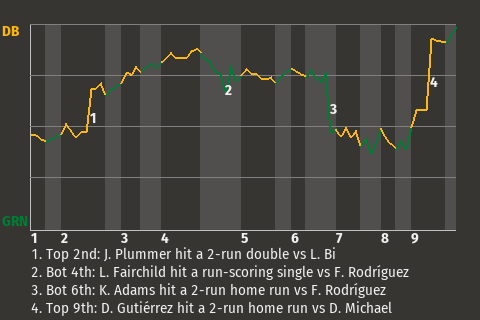 A crucial at-bat came with runners on 1st and 2nd and one out in the bottom of the third inning. That's when designated hitter Shane Hutchinson, who is tied for 3rd in the NL in runs scored with 60, drew a walk. The Timberwolves went on to win. "We did enough to win," said Hutchinson.